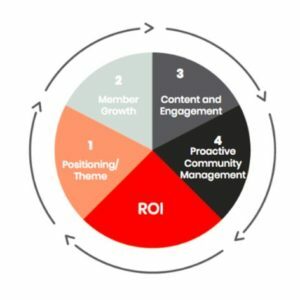 If Positioning, Growth, Content, Engagement & Community Management is done well, ROI will come. Which are the critical elements for Linkedin communities to succeed? Our social media experts have the answers.1)Position your community around your members’ deep professional interests. Build trust with the hard-hitting relevance of your content. 2)Consistently grow the community members with a highly relevant audience. 3)Develop content and a community environment that inspire engagement, participation and user-generated content. 4)A proactive Community Manager keeps the conversation on the topic, protects the community from self-promotion & spam, and builds key relationships with members. Maximise ROI out of your existing audiences -never pay for the same audience member/contact point twice.